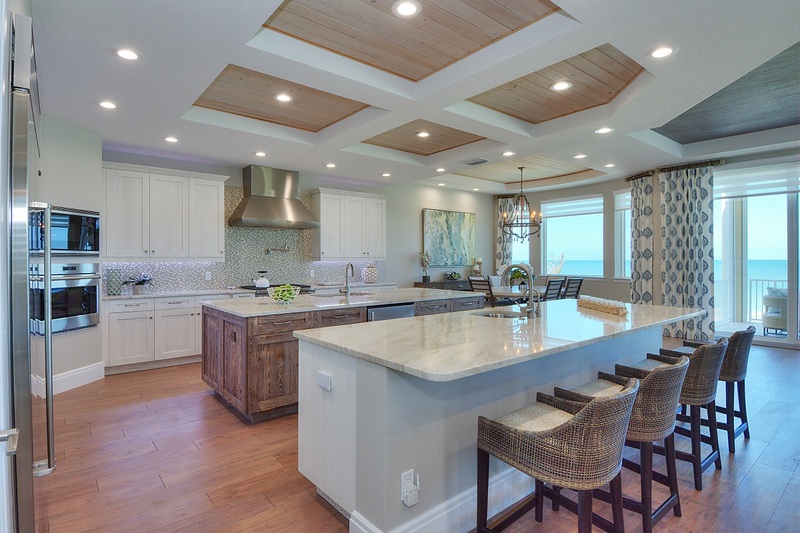 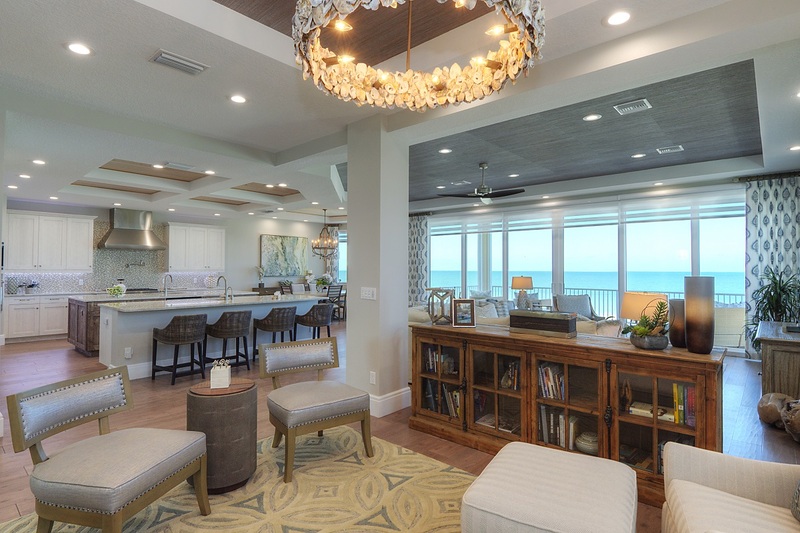 Nestled on a barrier island, this spectacular home offers breathtaking views of the expansive waters of the Gulf of Mexico, as well as the Intercoastal Waterway. 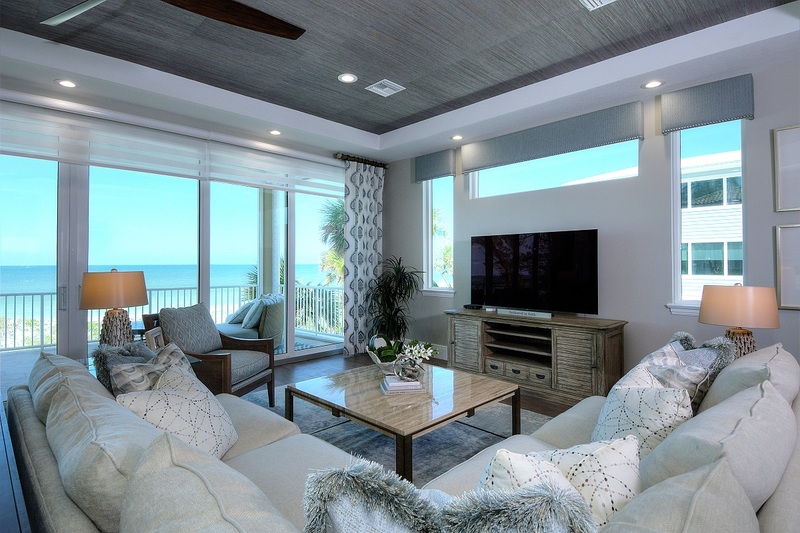 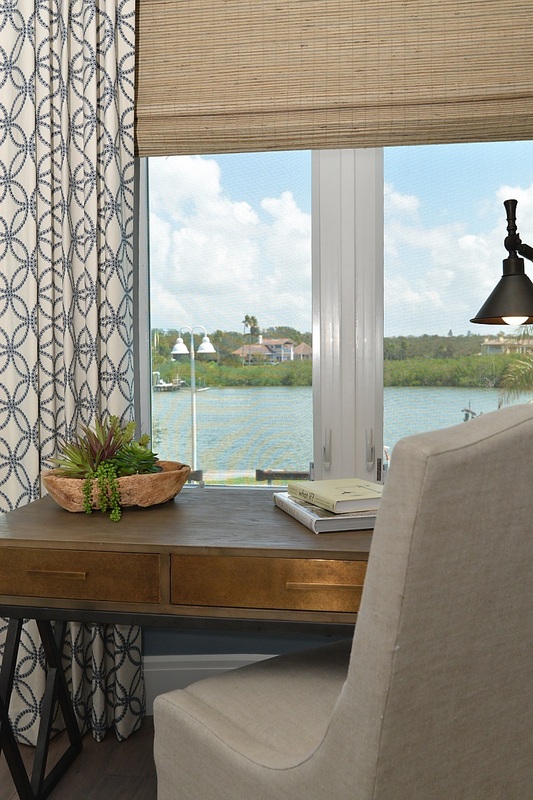 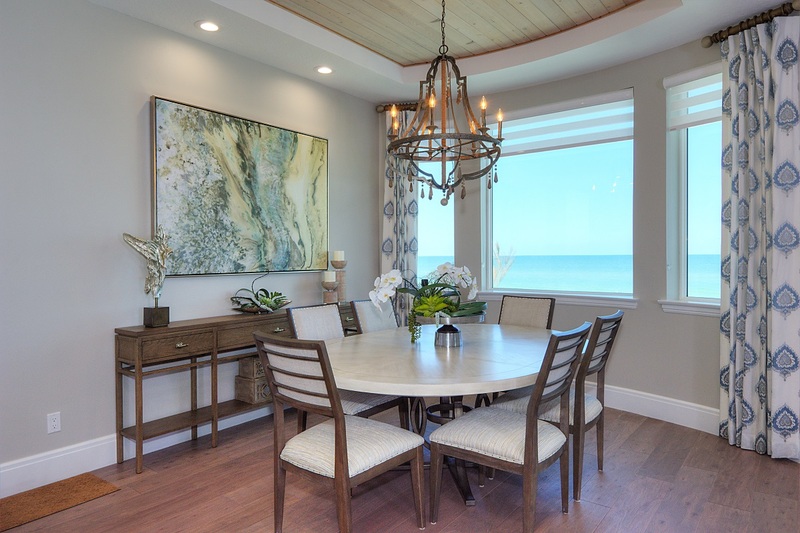 Lead designer, Jen Kravchuk, decided on a “Rustic Modern Beach” design for this waterfront retreat. 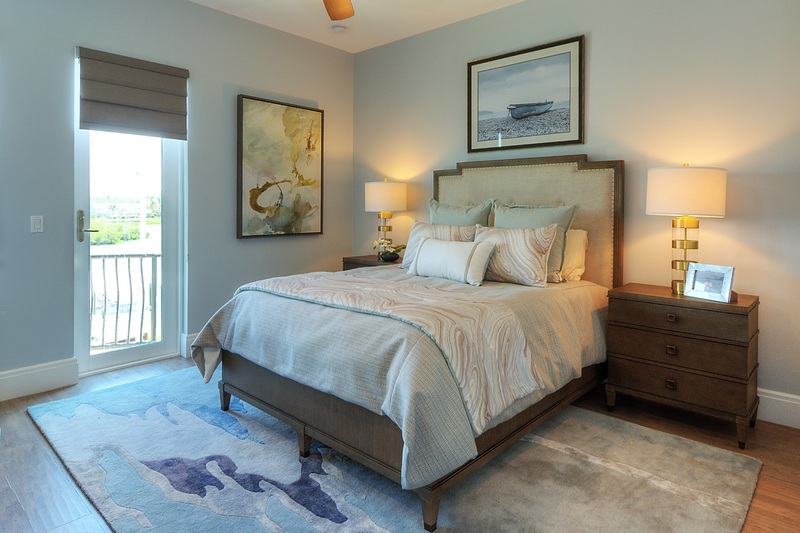 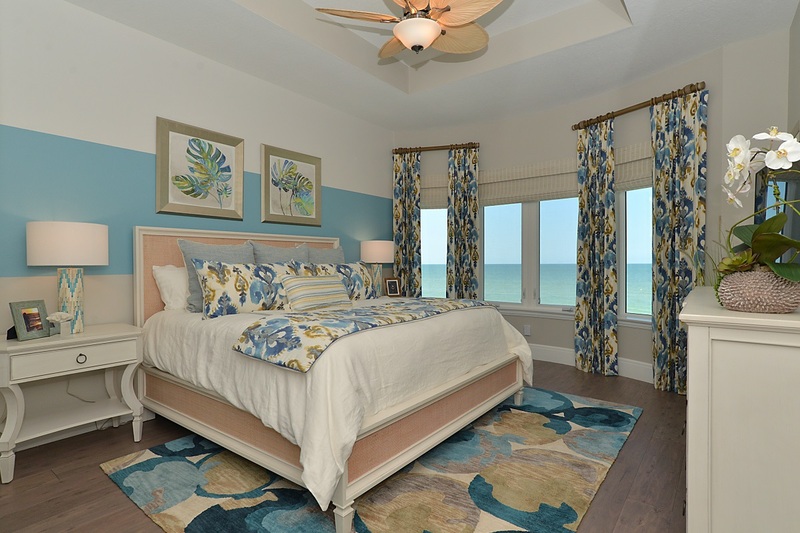 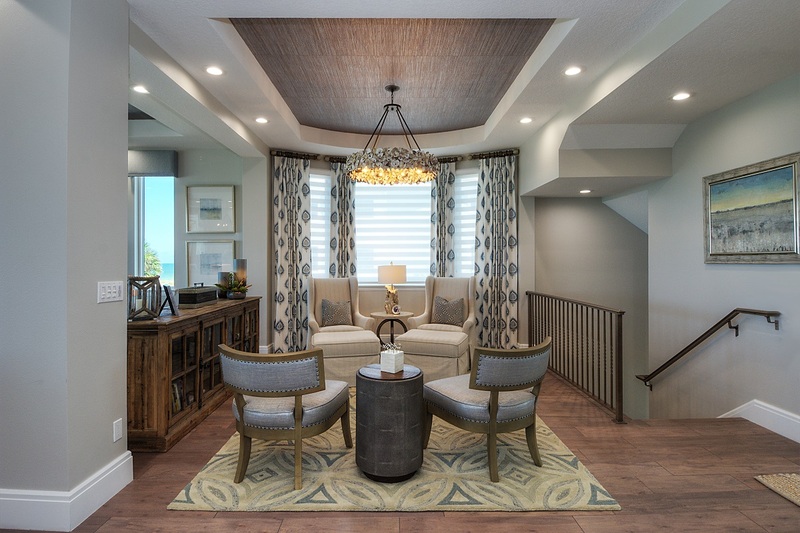 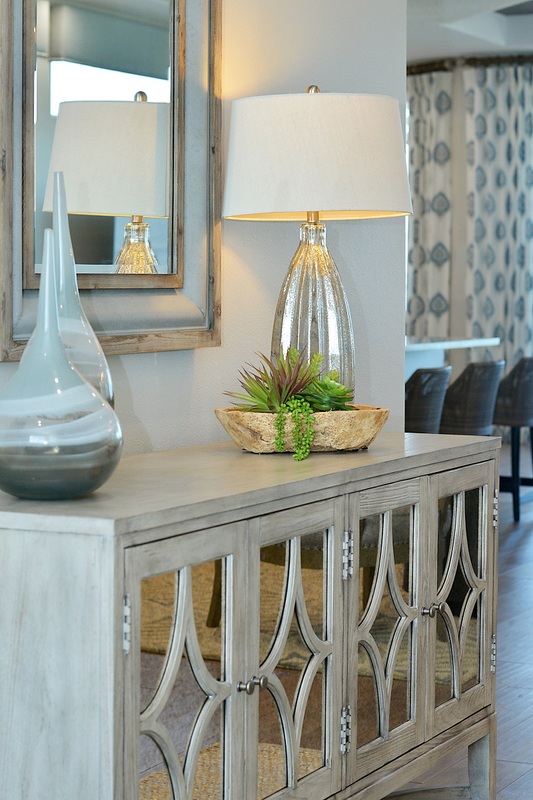 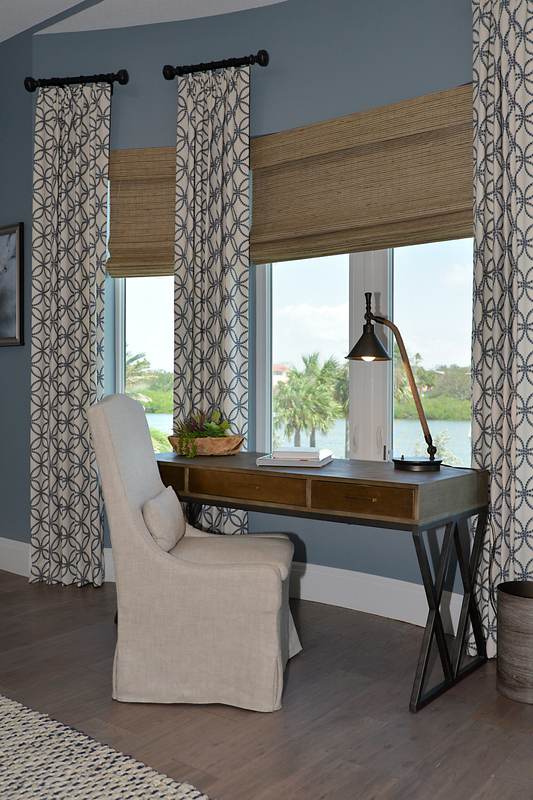 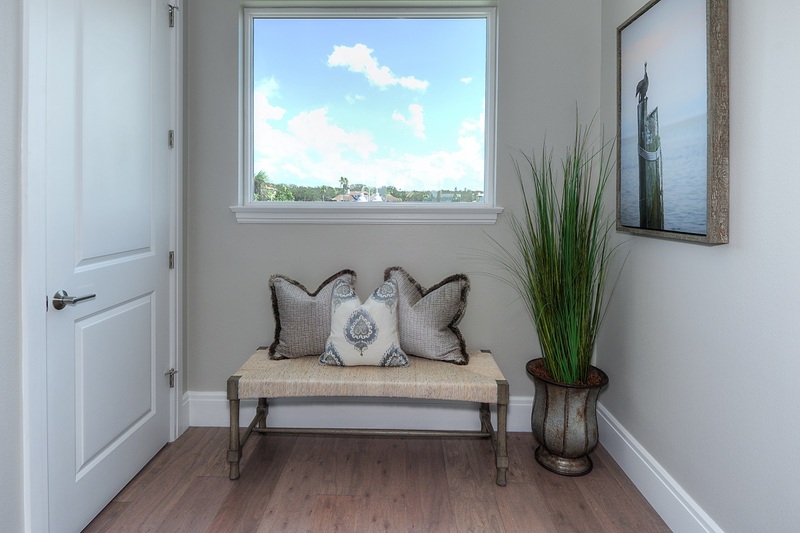 A coastal “dusty blue” color palette with gray undertones was carried throughout the home. 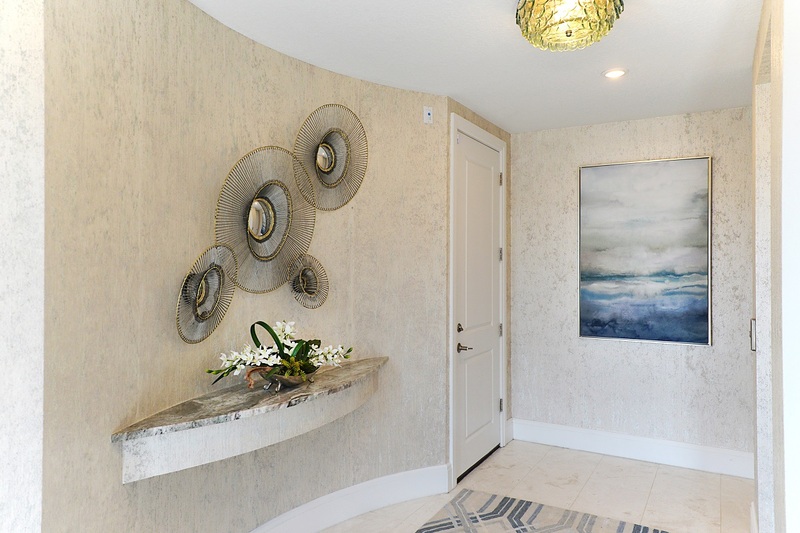 The design is rich with textural contrast- from the oyster shell chandelier to the embroidered drapery panels- the eye is captured by the variety of subtle shades, layers, natural elements and finishes. 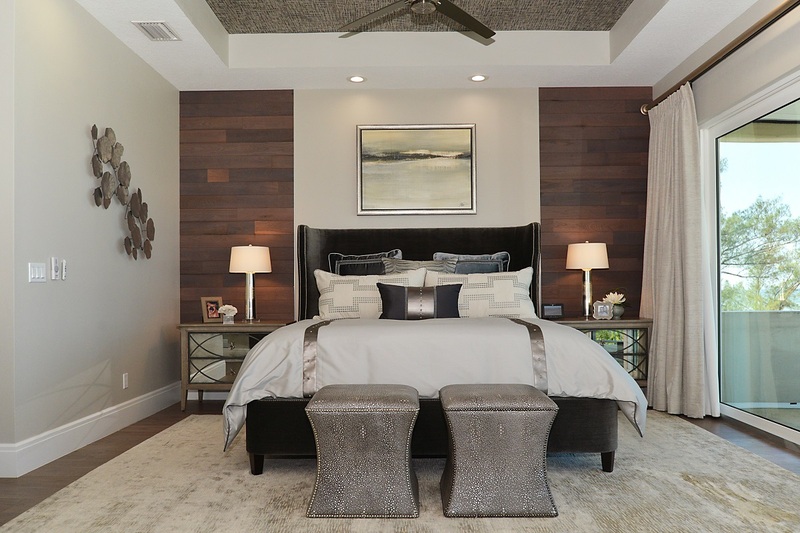 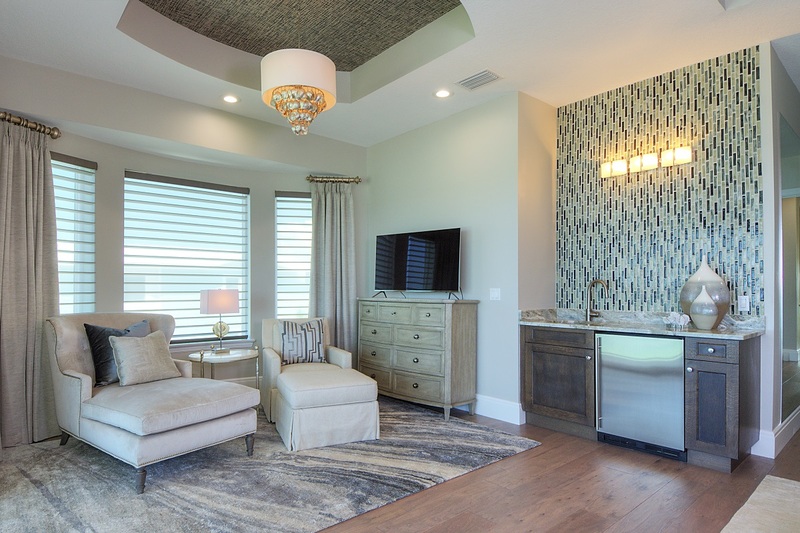 Note the beautiful tray ceiling treatments throughout, as well as the unique wood wall in the Master Bedroom. 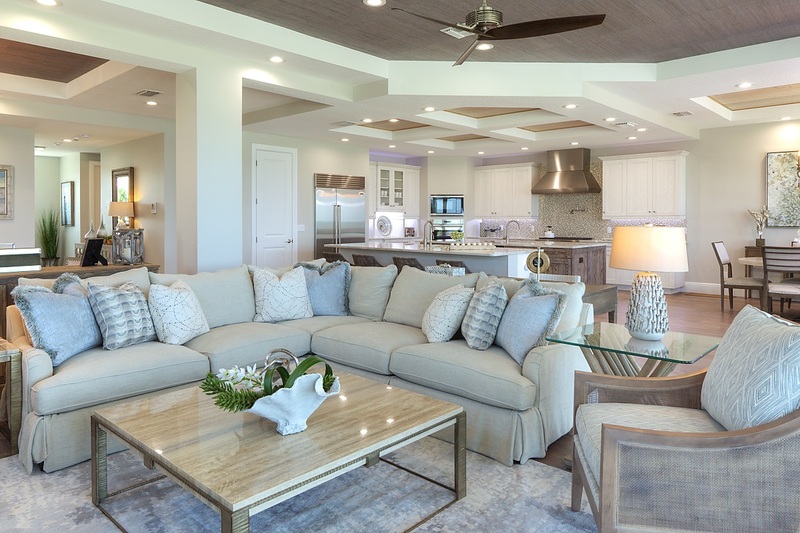 A circular motif was carried throughout the open concept main living area, which provides a common design element within the various spaces.